Since its establishment a 100 years ago, the Senate of the Philippines—the upper chamber of the Legislature—has moved its home many times. The Old Goldenberg Mansion. Photo courtesy of Skyscraper City. Built by the Eugster Family, the Goldenberg Mansion was acquired by Jose Moreno Lacalle, the Oidor (auditor) of the Audiencia (Supreme Court during the Spanish Colonial Period). The mansion was later occupied by Admiral Patricio Montojo of the Spanish Navy from 1897 to 1898. Later, it served as the Spanish Royal Navy Club in 1898. 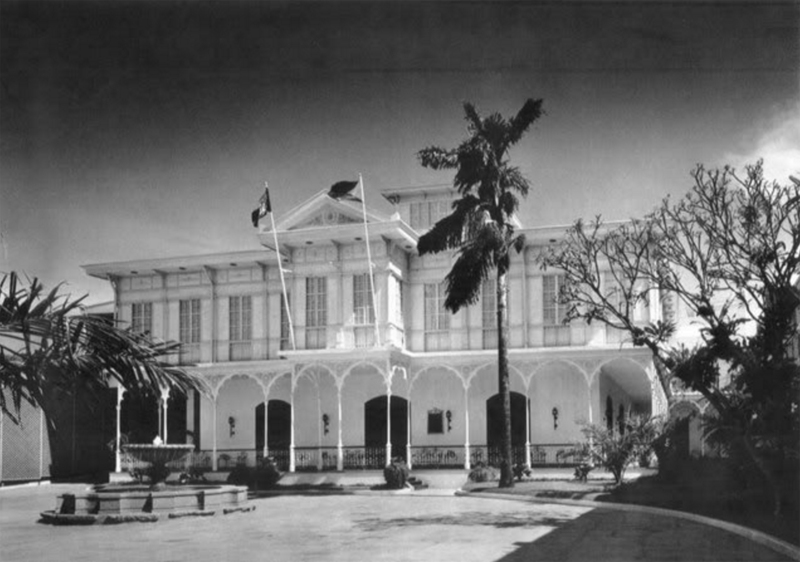 During the American Colonial Period in 1899, the mansion became the home and headquarters of General Arthur MacArthur. 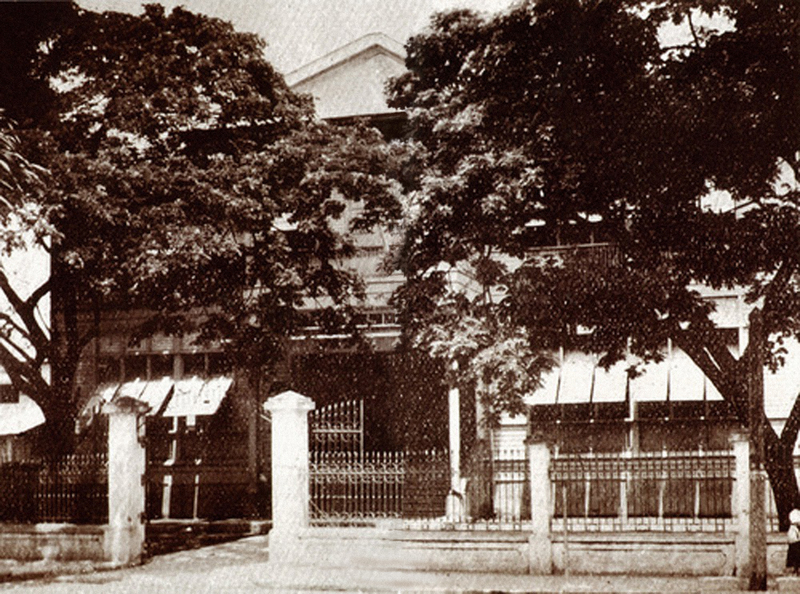 By 1908, it became the school building of the Philippine School of Commerce. Finally, it was here, on October 16, 1916, where the First Session of the first Philippine Senate was held. The Intendencia Building (La Aduana). Notice the “Senate of the Philippines” signage. Photo courtesy of John Tewell. In 1823, the La Aduana or the Customs Building, was constructed in Intramuros, based on the plans of Tomas Cortes. In 1863, it was damaged by an earthquake. Upon the direction of Luis Perez Sonjue, the Aduana was rebuilt. In 1901, during the American Insular Government, the Office of the Archives moved into the building. It was the Jones Law of 1916 that made it necessary for the newly formed Philippine Senate to look for a new home. After its opening session, the Senate moved in. It was then known as the Intendencia (meaning: public administration office). When the Senate finally moved to the new Legislative Building in 1926, the building was taken over by the Bureau of Customs. 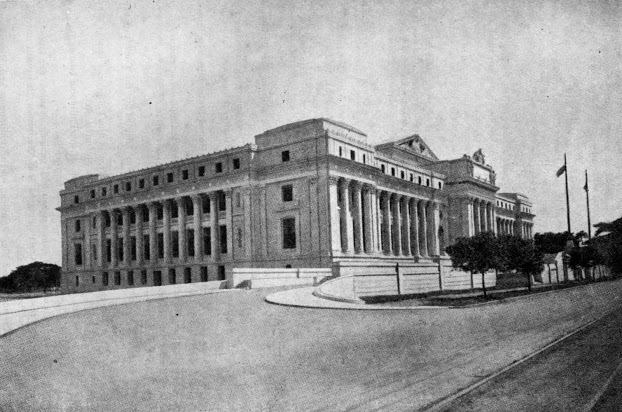 The Legislative Building as it appeared soon after its completion in 1926. Photo taken from the Manuel L. Quezon III Collection. The building was designed by Ralph Harrington Doane, the consulting architect of the Bureau of Public Works. 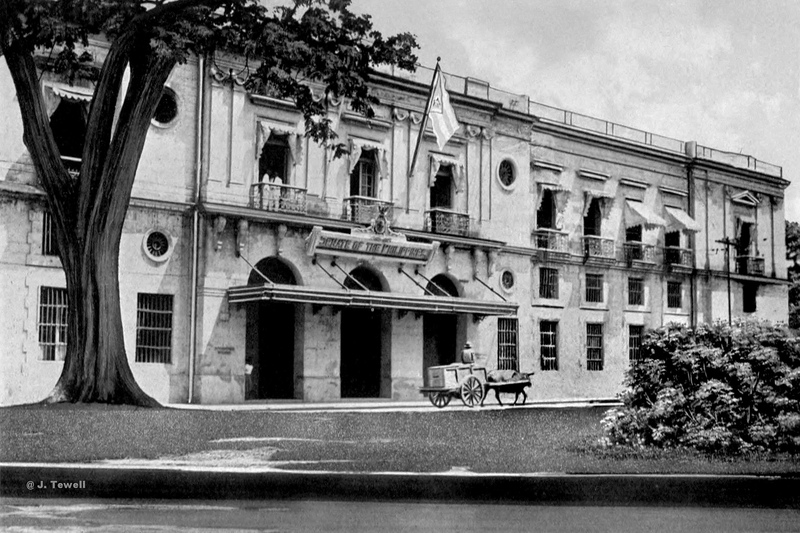 It was initially intended to be the Philippine Library, which was in line with the Burnham Plan for Manila. But when the Capitol Building—envisioned in the same urban plan—was abandoned, the site of the Library was chosen instead to house the Philippine Legislature. For this new purpose, Juan Arellano substantially modified Doane’s plans. The building was seen as a sign of the readiness of the Filipinos for self-government and independence. In fact, the origin of the “lower house” and “upper house” terms dates back to the Legislative Building, as the Senate moved to its session hall at the second floor, while the House moved to their session hall on the ground floor. The pre-war Senate Session Hall as it appeared soon after the Senate moved in, in 1926. Photo taken from the Manuel L. Quezon III Collection. During the Commonwealth Period, when the legislature became a unicameral National Assembly, the sessions alternated between the old Senate Session Hall and the old House Session Hall below, before settling in the upper chamber. Hence, President Quezon’s last State of the Nation Address was addressed to the joint session of Congress at the Senate Session Hall, on January 31, 1941. 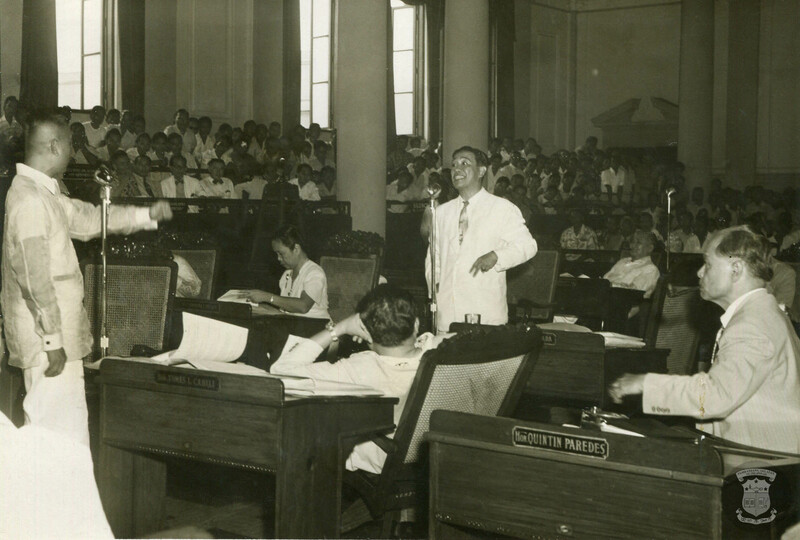 In the years of the Japanese Occupation, the Senate Session Hall was the seat of the National Assembly under House Speaker Benigno S. Aquino, Sr., and was the venue for many historic addresses by President Jose P. Laurel. The Temporary Congress Building at Lepanto St., Manila. 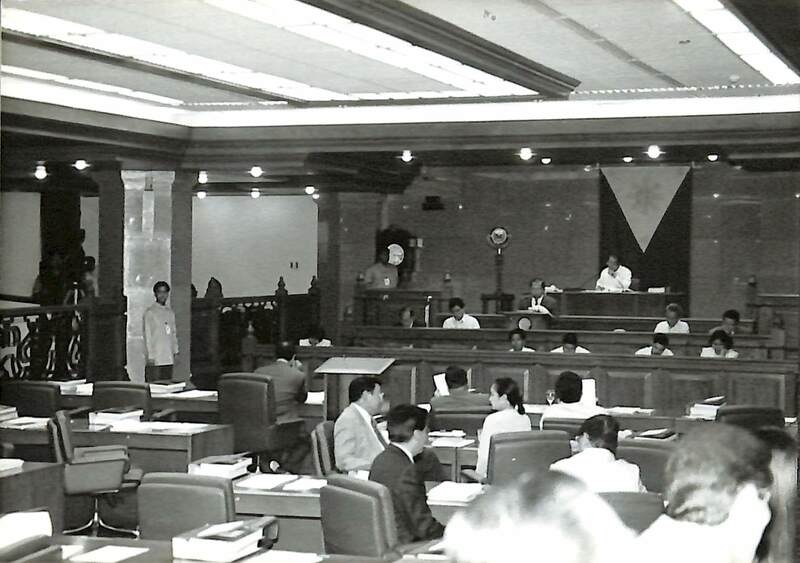 Photo from Assembly of the Nation: A Centennial History of the House of Representatives of the Philippines. With the liberation of the Philippines from the Japanese in March 1945, the Legislative Building, along with the rest of Manila, lay in ruins. 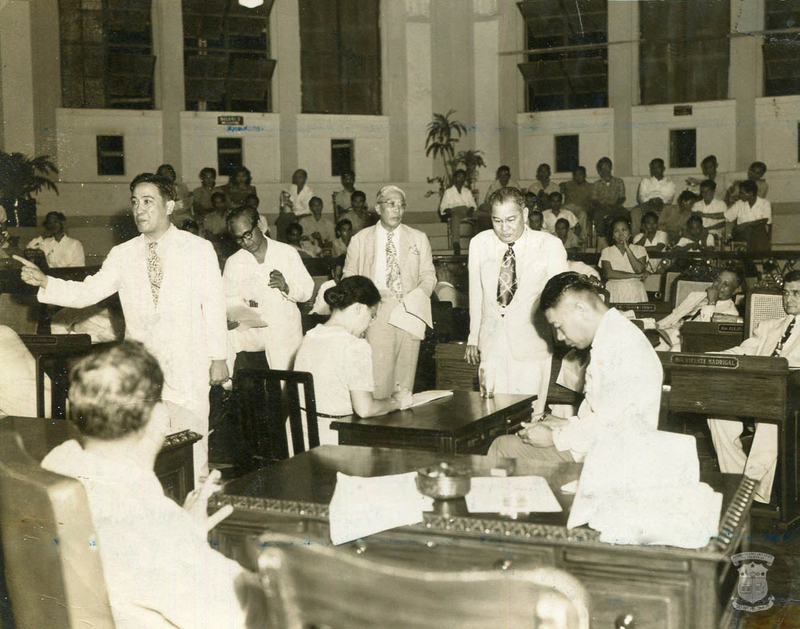 As such, President Sergio Osmeña delivered his first and last State of the Nation Address in the presence of the restored bicameral Congress on June 9, 1945, at a school house in Lepanto Street that was used as a temporary Congress Building for both the Senate and the House of Representatives. Temporary Senate offices after WWII, Manila City Hall, Manila, Philippines, May 1948. Photo courtesy of LIFE Magazine via John Tewell. 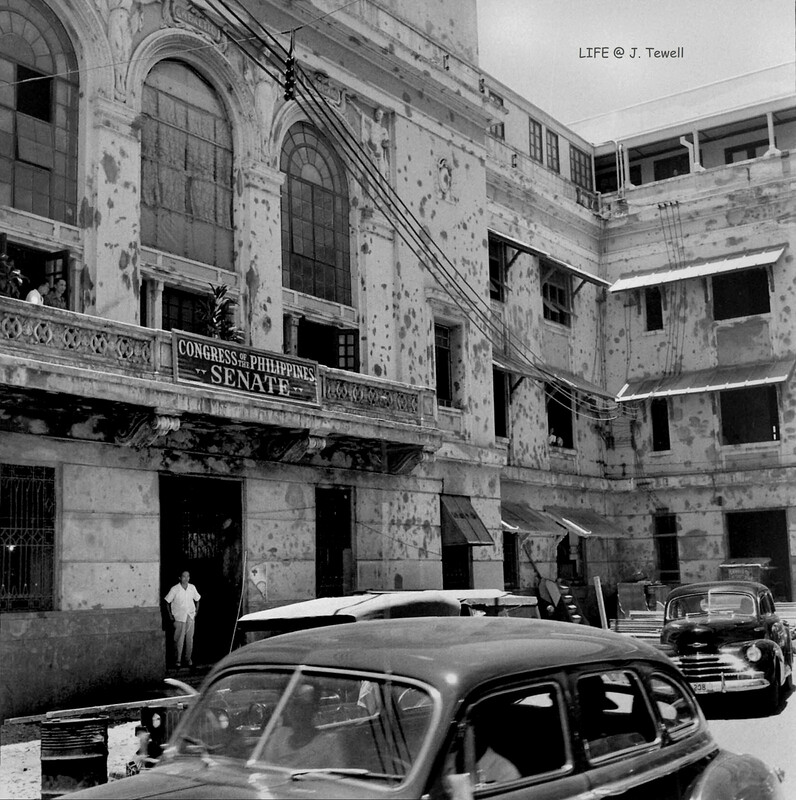 Photographic records suggest that the Senate later moved to the Manila City Hall circa 1947-1948, which at the time was still riddled with bullet holes from the Battle of Manila. The move was a temporary one, as the reconstruction of the Legislative Building was ongoing. 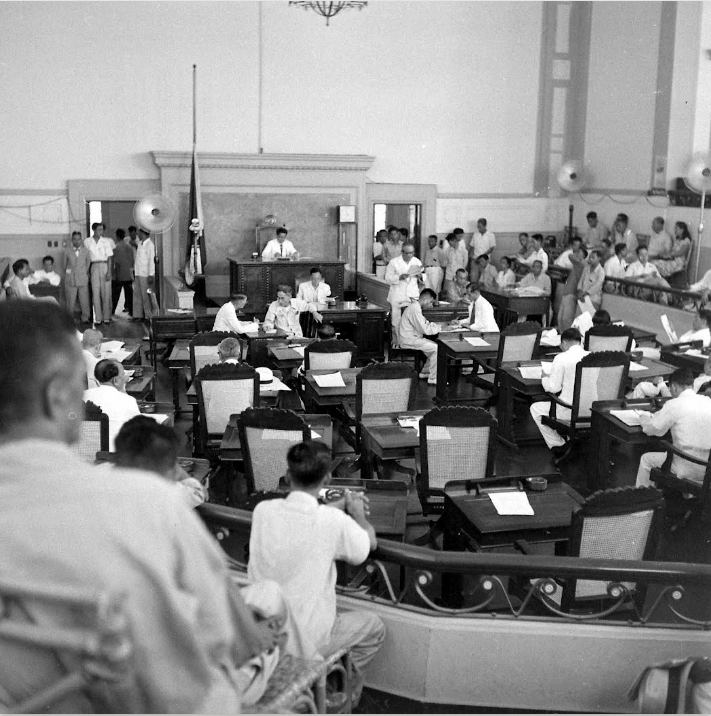 The Senate held their sessions at the city council’s session hall within the building. Photo courtesy of LIFE Photo Collection. 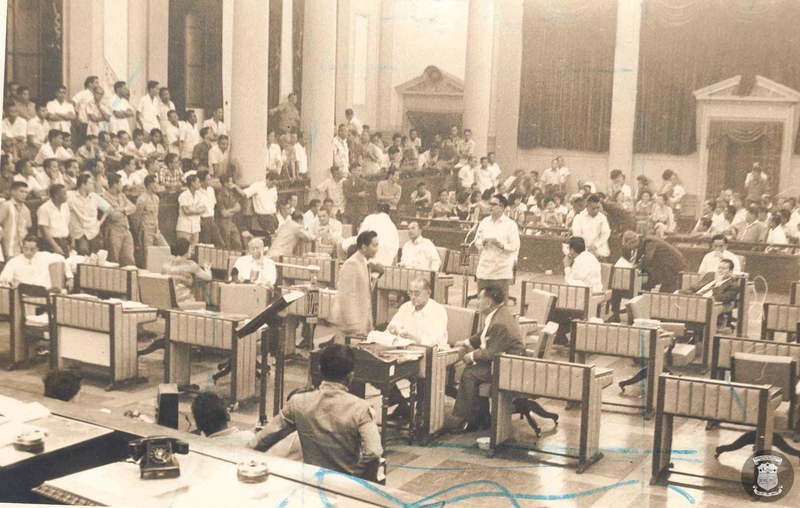 Senators Lorenzo Tañada, Carlos P. Garcia, Geronima Pecson, Pablo David, Vicente Madrigal, in the temporary Senate session hall (now the city council session hall) in the Manila City Hall (circa 1947-1948). Photo courtesy of the National Library of the Philippines. 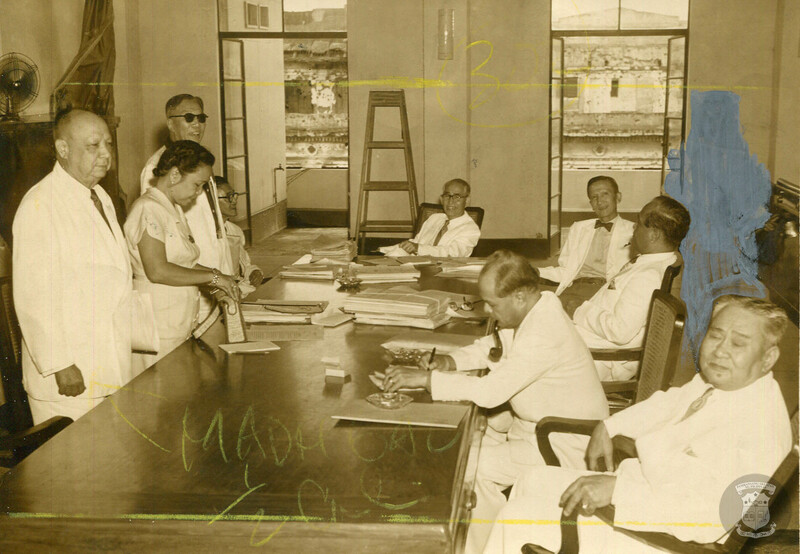 Senators Vicente Madrigal, Geronima Pecson, Pablo David, Carlos P. Garcia, Camilo Osias, and Eulogio Rodriguez Sr. meet in one of the office rooms at the temporary Senate home in the Manila City Hall (circa 1948). The view opens to the balcony with possibly a view of the ruins of the Legislative Building. Photo courtesy of the National Library of the Philippines. Senator Lorenzo Tañada delivers his privilege speech in the new Senate Session Hall in the rebuilt Legislative Building, as Senators Camilo Osias (sitting in the seat of Senator Quintin Paredes), Geronima Pecson, and Eulogio Rodriguez Sr. looks on. (circa 1950). Photo courtesy of the National Library of the Philippines. 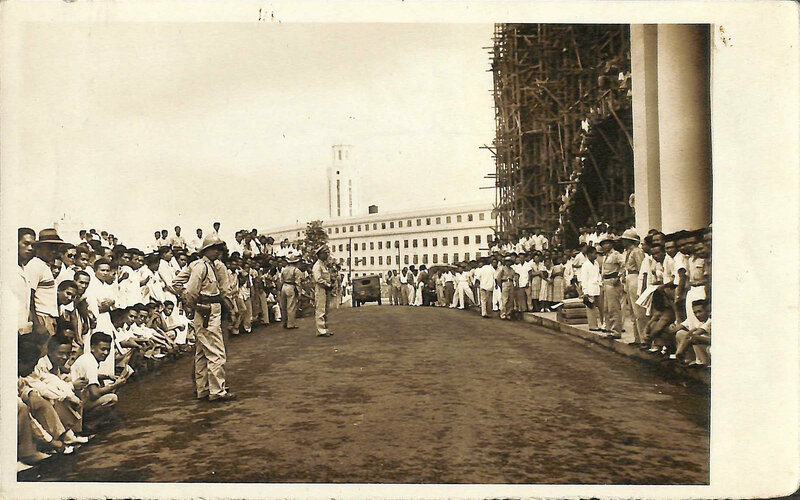 The Legislative Building with scaffolding circa 1949. Photo courtesy of the National Library of the Philippines. After the war, most of the Legislative Building lay in complete ruin. The core of the building, including the Senate Session Hall—though burnt and heavily damaged—survived basically intact. The building was rebuilt in 1949 by the U.S. Philippine War Damage Corporation to the same dimensions of the original Legislative Building, though with far less exterior and interior ornamentation than the original. It was renamed “Congress – Republic of the Philippines” and made ready for use again on January 24, 1949, in time for President Elpidio Quirino’s first State of the Nation Address. This marked the first opening session of Congress in the rebuilt edifice. The Senate Session Hall was also repaired according to the original design, but at some point, plans were changed and the hall was segmented vertically into two parts through the addition of a wooden floor laid across at the top level of the balustrades of the mezzanine galleries. The purpose was to fix the acoustics, as many people recounted (like former American governor general Francis Burton Harrison) that one “could hardly catch the words” of the orator in the rostrum. The ornamentation of the main wall was segmented and truncated. Over time, more interventions took place, obscuring further the sense of the architectural space. Nonetheless, the hall continued to serve the Senate from 1949 to September 22, 1972. 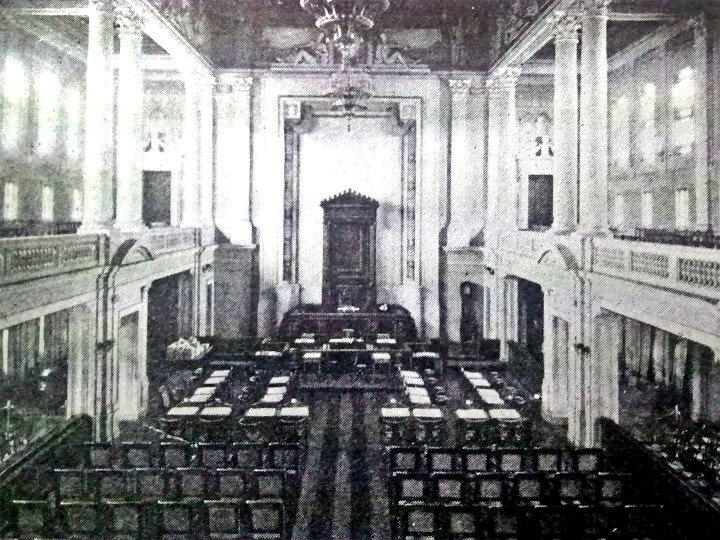 The Senate Session Hall at the Legislative Building in the 1960s. Photo courtesy of the National Library of the Philippines. By the early 1960s, the statues of President Manuel L. Quezon and Sergio Osmeña were added on the two sides of the front portico of the Legislative Building. 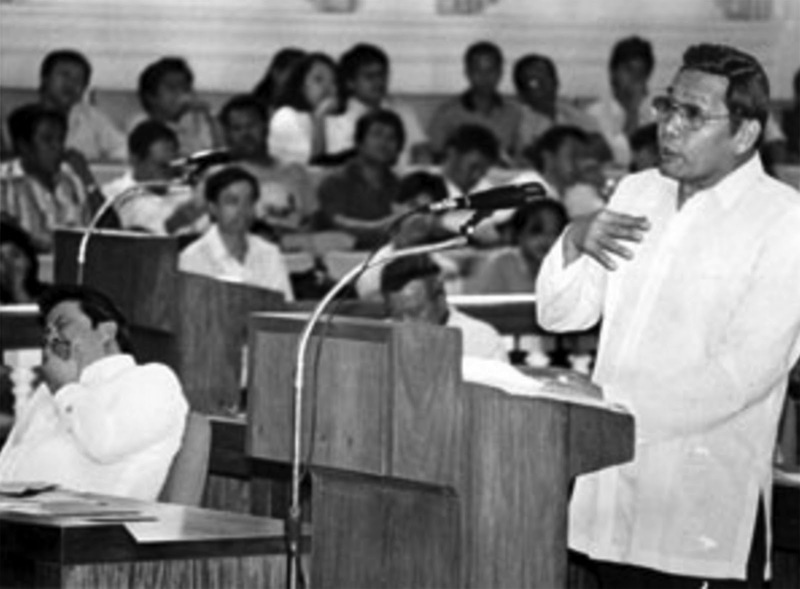 Senator Neptali Gonzales (right) delivers a speech in 1987 inside the Senate Session Hall in the Legislative Building. Senate sessions are generally better attended than those in the House, where most days, there is no quorum. Photo from The Rulemakers. After Martial Law was proclaimed on September 23, 1972—thus abolishing Congress—the building was closed down and reinscribed with the name “Executive House.” It was given over to various government offices, such as the Office of the Prime Minister on the fourth floor, the Tanodbayan (or Ombudsman) on the third floor, the National Museum on the second floor, and the Sandiganbayan on the ground floor. The Senate Session Hall remained closed and the old House Session Hall was converted to the main art gallery of the museum, which featured Juan Luna’s Spoliarium, which was moved from the Department of Foreign Affairs at Padre Faura (today the Supreme Court). After the EDSA People Power Revolution in 1986, the mixed use of the building continued—with the addition of the restored Senate after 1987 and the replacement of the Prime Minister’s Office with the Office of the Vice President. This state of affairs continued over the next decade, until various agencies were relocated, which in time left the National Museum as the sole occupant of the building. The building’s status was confirmed by the passage into law of the “National Museum Act of 1998” (Republic Act No. 8492). In the Museum’s master plan, the Old Legislative Building was designated as the home for the fine arts galleries, and eventually a National Museum of Art—a purpose that is being steadily realized. Facade of the Senate of the Philippines in its present location. Photo from Wikimedia. 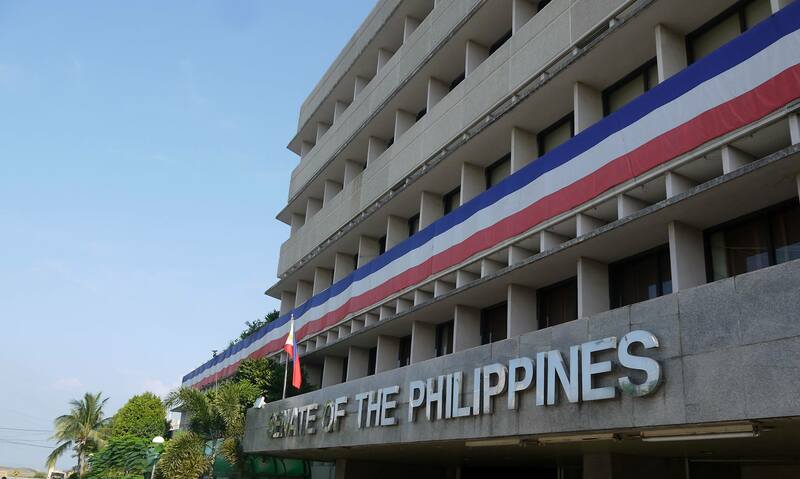 Since May 1997, the Senate has moved to the GSIS Building in Pasay City for more space, paying an annual rent of P110,000,000.00. By 2012, there were plans to move the Senate to a permanent location. “History of the Intendencia,” National Archives of the Philippines, accessed on October 16, 2015, link. “Jones Law of 1916,” Official Gazette of the Republic of the Philippines, accessed on October 16, 2015, link. Level II, Historical Marker of the National Historical Commission of the Philippines, 1957. Osmeña, Sergio, “State of the Nation Address, June 9, 1945,” Official Gazette of the Republic of the Philippines, accessed on October 16, 2015, link. Quirino, Elpidio, “State of the Nation Address, January 24, 1949,” Official Gazette of the Republic of the Philippines, accessed on October 16, 2015, link. “Senate considering move to UP Diliman,” InterAksyon.com, accessed on October 16, 2015, link. “Senate puts on hold plan to look for permanent home (Feature),” Balita.ph, accessed on October 16, 2015, link.